D.D. 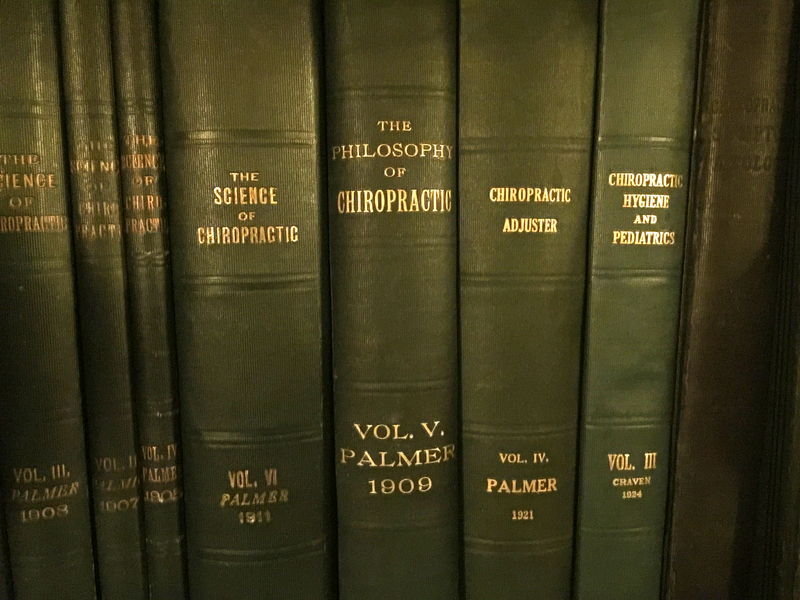 Palmer references are a vital source of information about early chiropractic theory. 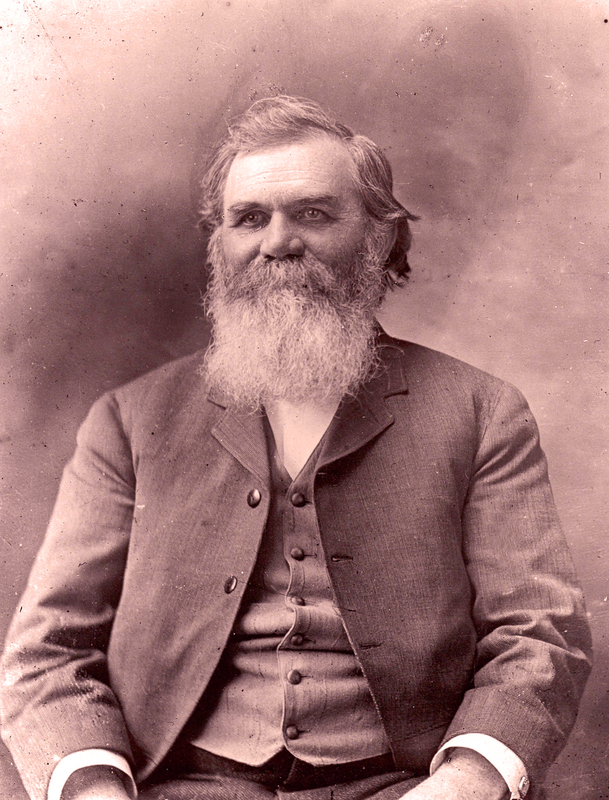 The chiropractic profession developed from his chiropractic paradigm. This post focuses on D.D. Palmer references rather than the articles, interviews, and public presentations that misrepresent the history of ideas in chiropractic. The authors document D.D. Palmer references in an amazing way. They were able to demonstrate that the founder of chiropractic was current on the latest textbooks in his field. D.D. Palmer references were compared to the books that medical schools required during that time. In his 1910 book, D.D. Palmer referenced the latest texts alongside previous editions. He even gave some historical citations going back almost 100 years in the literature. D.D. Palmer was a self-taught expert on anatomy, physiology, and pathology. Leaders of the chiropractic profession should demonstrate a mastery of chiropractic’s history of ideas. In the past, there simply wasn’t a great deal of information. Most authors did the best they could with the resources they had. Today we know much more about D.D. Palmer and we have access to virtually all of his writings. Also, we now have access to most of his references! Chiropractic educators should demonstrate a solid understanding of chiropractic’s history of ideas. This goes for speakers at conferences, authors, faculty, and administrators. Mastery of chiropractic’s history of ideas should be a professional standard. One of the best examples of D.D. Palmer’s integration of the literature comes from his article Chiropractic Rays of Light. It was first published in The Chiropractor, in the June 1905 issue. 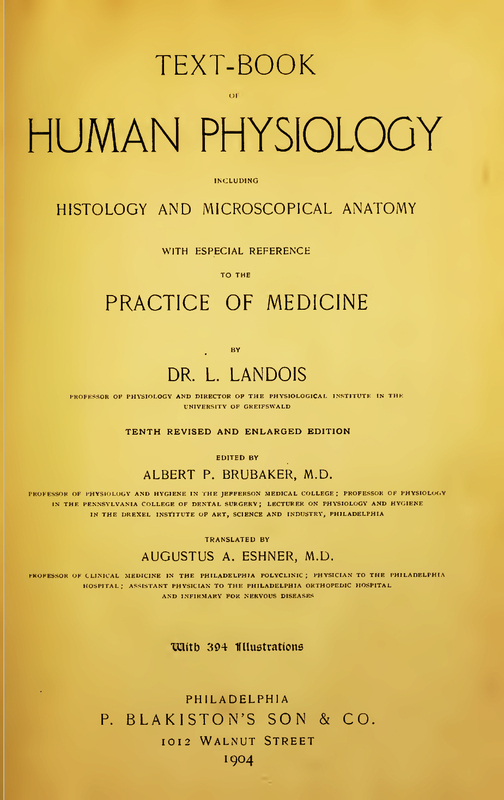 The article was then republished as a chapter in The Science of Chiropractic (1906) and again as a chapter in The Science, Art, and Philosophy of Chiropractic (1910). “It is interesting and instructive to notice the various opinions of medical writers, in regard to luxations of the vertebral column, and how near they were onto that which is now known as Chiropractic. Below are given extracts from standard anatomies and orthopedical books. Most D.D. Palmer references are now digitized and available online. It is very easy for us to check his references. He also referenced Landois, Gould, and Lippincott to support his theories on the effects of nerve irritation. He proposed that the irritation of the nerve is related to the atomic activity of the nerve. He referred to this as his “thermal-nerve theory.” Life processes were viewed as vibratory. Subluxation causes too much or not enough function due to increased vibration or decreased vibration. This leads to increased or decreased tonicity of the organs or tissues. Thus, chiropractic is based on tone. Chiropractors who criticize the use of D.D. Palmer’s theories in modern practice should be wary of their argument style. A critical approach is essential especially when taking a dismissive stance. An academic discussion about the history of ideas in chiropractic should include historical facts and evidence using appropriate references. Otherwise it is just rhetoric. For example, it is too easy to assume various things like; just because the term “subluxation” is being used that it is the same definition that was used a century ago. A simple look at the literature and textbooks on subluxation will demonstrate the fallacy of that position. Then there is the mistaken assumption that those who invoke D.D. Palmer’s ideas or B.J. Palmer’s are automatically putting them up on pedestals, appealing to authority, or the strangest claim; making chiropractic into a religion. It is true that chiropractors in the past have exalted the Palmers. And some chiropractors may still do that today. And yet, most do not. That is an important distinction that gets glossed over or perhaps is just not commonly understood. There is a big difference between appealing to authority and learning from the past. The fact of the matter is that D.D. Palmer developed a new paradigm, the chiropractic paradigm. In the Kuhnian definition of the term, a paradigm must include a new radical viewpoint with a practice that enacts it. D.D. Palmer’s paradigm was that irritation of the nervous system due to impinged or stretched nerves (usually of the spine) led to abnormal function of the nerves. This could be a primary or secondary contributor to pathophysiology. The practice of chiropractic is to adjust the spine to release the irritation and normalize intelligent function. Critics should examine D.D. Palmer references along with his clinical observations and then re-frame the critiques so that they are evidence-based. Are D.D. Palmer’s ideas being correctly described? How EXACTLY has his paradigm been debunked in the literature? Has it? The task for a critic is to determine how his work is being applied in relation to today’s practice, which should include objective assessment not assumptions. 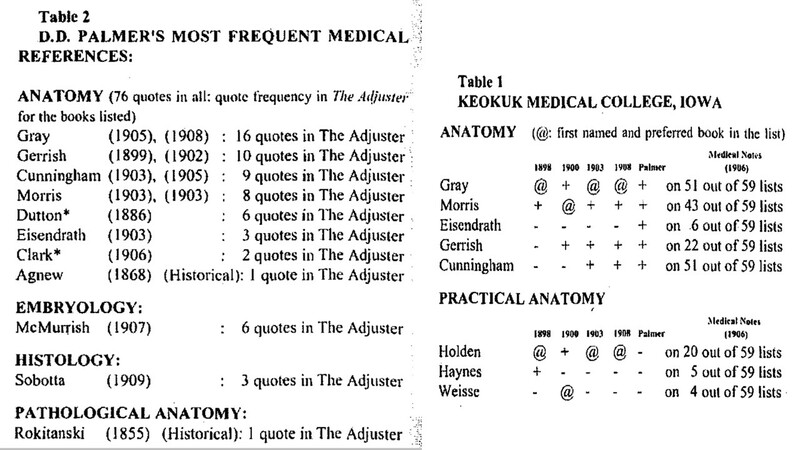 *The surgery literature of the time included detailed explanations of the spine and nervous system. **According to Faulkner’s book, he first used the term a few months after O.G. Smith, in 1902. ***His term “functionating” was in use at the time. In this TIC Dialogue, Thom Gelardi and Simon Senzon discuss several chiropractic topics over the course of three hours. The topics ranged from Thom’s only meeting with B.J. Palmer in the 1950s, his private practice, his mentor, Lyle Sherman, as well as other events of history and politics. The most distinct element of the dialogue is Thom’s unwavering philosophical viewpoint that professions are defined by their mission. This short clip from the discussion is about the different paradigm, or what Gelardi refers to as missions. The chiropractic mission is distinct. The medical mission too is distinct. Over the course of chiropractic history, there was once a clash between “straights” and “mixers.” Starting in the 1970s, that paradigm clash focused on the role of diagnosis and analysis in chiropractic practice. To listen to the full dialogue, please become a member of The Institute Chiropractic. The relationship between D.D. Palmer, B.J. Palmer, and the chiropractic profession is fascinating. In TICVLOG Episode 8: Father and Son, I go into detail about their interactions and the impact it had. One of the most fascinating things I discovered was that the back and forth between D.D. Palmer and B.J. 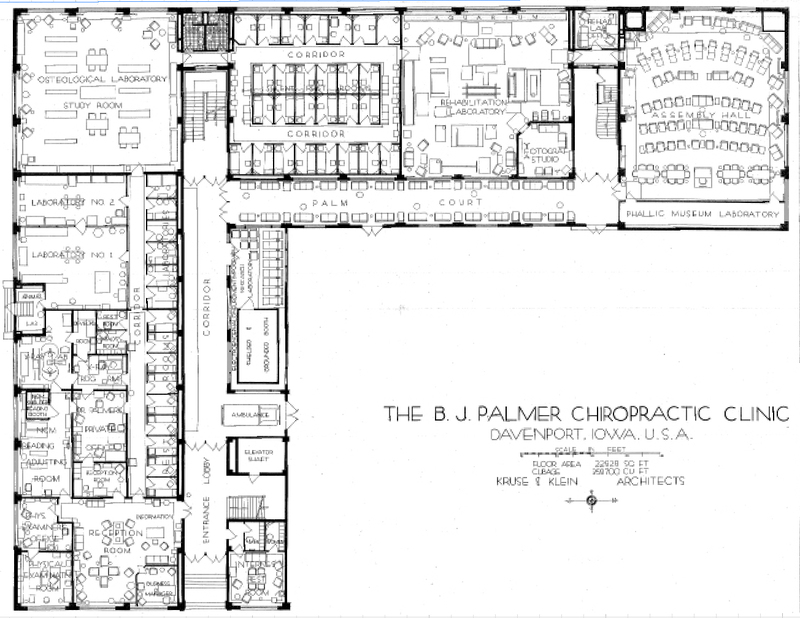 Palmer during the years 1908 to 1910, led to new breakthroughs in chiropractic philosophy, theory, and practice. In private letters between D.D. Palmer and B.J. Palmer we learn how and why their relationship fell apart. The year of 1906-1906 was a very difficult one for D.D. Palmer. It had its tragedies, blessings, and new horizons. When D.D. Palmer got to Oregon in 1908, he started reading B.J. Palmer’s new books Vol 2 and Vol 3. D.D.’s criticisms of B.J.’s new chiropractic ideas led to a refinement of theories for both of them. The theories that emerged from that period became the foundation of the chiropractic profession. D.D. Palmer’s final lectures were gathered by his wife after his death and published as a book in 1914. D.D. 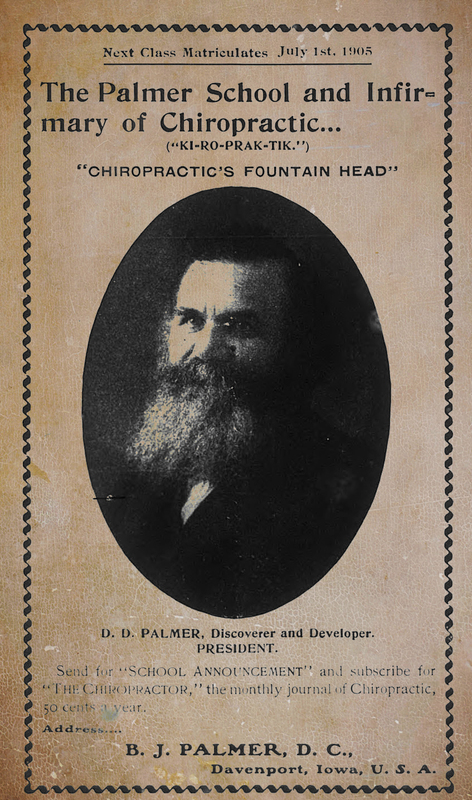 Palmer’s 1914 book, The Chiropractor is available online. Volume 1 was a compilation of D.D.’s articles, B.J.’s new articles, and several other authors. More resources on D.D. Palmer may be found here: D.D. Palmer. More resources about B.J. Palmer may be found here: B.J. Palmer. In TIC VLOG Episode 7, I answer a question about the history of adjustment frequency. Understanding the original protocols of the chiropractic pioneers gives modern chiropractic practice a new perspective. This is especially relevant because of the literature. 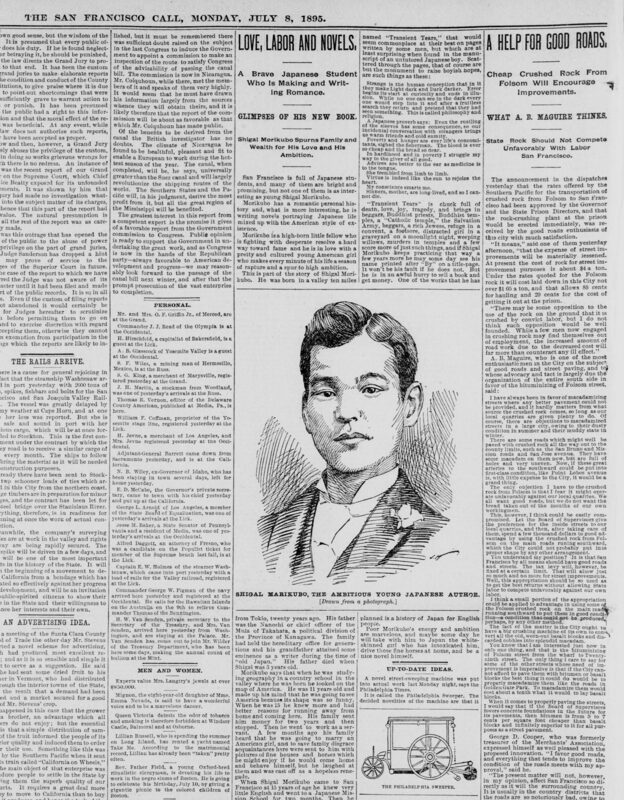 Several recent articles have used a 1902 ad from B.J. Palmer, to try and discredit modern practices. In this TIC VLOG, I explain why that approach is deeply flawed. Chiropractors need to understand the evolution of theories from D.D. 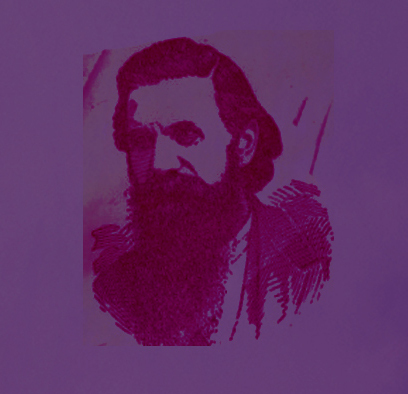 Palmer’s earliest approaches to B.J. Palmer’s final theories and practices. We also need to integrate key moments in the history of chiropractic practice such as Drain’s and Craven’s contributions to chronic and acute care. Frequency models continually evolved between the 1930s and the 1990s. These foundational historical facts and ideas give us a common basis through which we might dialogue. D.D. Palmer proposed yearly chiropractic analysis in 1897. B.J. Palmer’s models of care frequency evolved from 1902 into the 1950s. Any use of his ideas should include those facts. Several articles in the literature use a B.J. Palmer ad from 1902, out of context from the rest of his life, to make a point about modern practice. J.R. Drain pioneered acute and chronic adjusting protocols. The 3-2-1 frequency model probably emerged from the Parker Seminars in the 1980s. Epstein’s frequency model from the late 1990s was based on the findings from two qualitative studies (retrospective and longitudinal). The Integral Biography of B.J. Palmer by Simon Senzon (2011). Professional Identity at Los Angeles College of Chiropractic by Kimura, Russell, and Scaringe (Dec 2016). Chiropractic and public health: Current state and future vision by Johnson et al (2008). A Cure for the Curse of Chiropractic, Part 2 by Seaman (2007). Chiropractic Thoughts by J.R. Drain (1927/2014). A Retrospective Assessment of Network Care Using a Survey of Self-Rated Health, Wellness and Quality of Life by Blanks, Schuster, and Dobson (1997). Network Spinal Analysis: A System of Health Care Delivery Within the Subluxation-Based Chiropractic Model by Donald Epstein (1996). TIC VLOG Episode 6 explores the question of D.D. Palmer’s two books. Both books were authored by D.D. Palmer. The first one was published by him in 1910. The second one was published by his widow in 1914. D.D. Palmer died October 20, 1913. In 1921, B.J. Palmer republished the books as one volume. He included this in the Greenbooks series as the second Volume 4. The first Vol. 4 was published in 1908. B.J. edited the book. He took out some of the unflattering critiques about himself. He also removed other content. In the video, I mention one of the edits I found about Jim Atkinson. I am sure there are other edits to be discovered. There are so many interesting things we could expand upon from this topic. Even though D.D. 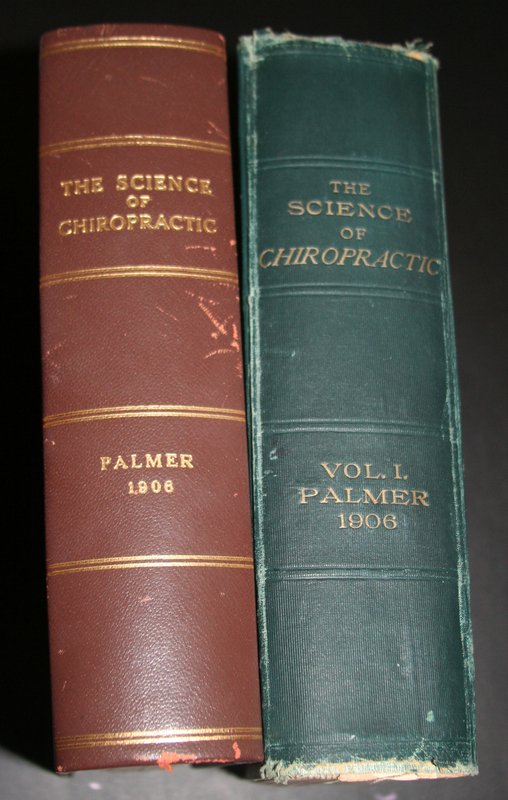 Palmer’s two books were published in 1921, few chiropractors knew about them. For example, Clarence Wieant, DC, PhD, published a classic article in 1979 on “philosophy” in chiropractic as a misnomer. In the article, he claimed that he did not know about D.D.’s 1914 book until the 1960s (even though he graduated in 1924!). Perhaps he just wasn’t paying attention to the new Greenbooks being published while he was in school. When thinking of B.J. Palmer’s loose use of historical fact, I can’t help but think about Bob Dylan. In his autobiographical book, Chronicles, as well as of some recent songs, Dylan was accused of plagiarizing whole passages. When taken in context, it looks as though Dylan was adopting a style of writing reminiscent of traditional folk tunes, classical poetry, and a type of writing that emerged in the 1930s. Perhaps we should view B.J. Palmer’s writings alongside the Nobel Laureate? The first volume of the Greenbooks was published in Autumn 1906. That book is primarily a compilation of D.D. Palmer’s articles prior to March 1906. D.D. Palmer left Davenport in Spring 1906. B.J. Palmer hired a college professor to edit the book and include several other chapters by B.J. and articles from other authors. B.J. published the second edition in 1910 and the third edition in 1917. These editions included new chapters and edited old ones. Joseph Foley’s article: D.D. Palmer’s Second Book The Chiropractor 1914-Revealed. Chiro Hist. 2016;36(2):72-86. TIC DIALOGUE Episode 1 with Simon Senzon and Joe Foley (excerpt). Who’s This Guy Dylan Who’s Borrowing Lines from Henry Timrod? Archive.org edition of D.D. Palmer’s The Chiropractor (1914). The Science of Chiropractic edited 1917 edition. Simon Senzon’s article D.D. Palmer’s Chiropractic Theory of Neuroskeleton. 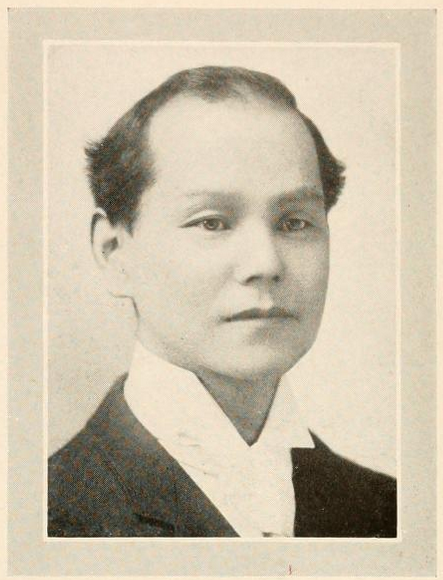 Shegetaro Morikubo was one of the early leaders of chiropractic. He is most famous for following in D.D. 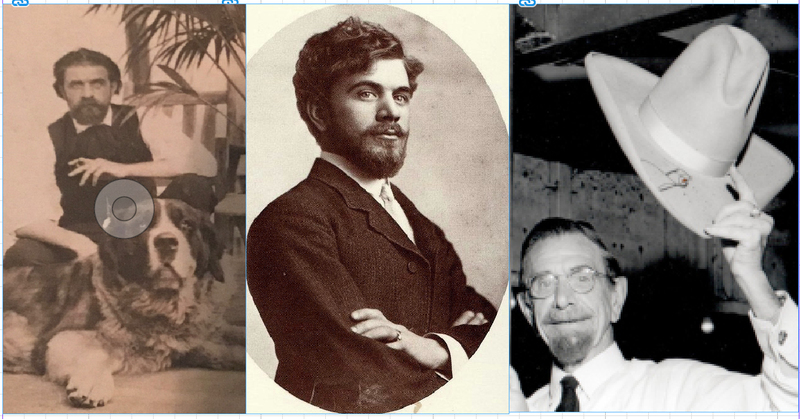 Palmer’s footsteps and getting arrested for practicing medicine, osteopathy, and surgery without a license. I have researched and written about his life. I thought we knew all that we could about him. He grew up in Japan. Descended from an aristocratic Buddhist family in the province of Kanagawa. After his trial, he married and then taught and practiced in Minneapolis. I have read every article that I could find by him written between 1904 and 1922. Last week I got a surprise email from John Wolfe. Dr. Wolfe is a chiropractic historian, the editor of Chiropractic History, and an associate professor at Northwestern College of Chiropractic. He is also one of the leading Morikubo historians in the world. Wolfe just found this news article from 1895. It is the earliest known writing we have about Morikubo. Furthermore, we learn that he studied English with a tutor and read Shakespeare, Irving, Hawthorne, and Longfellow. We also learn that he is a budding young novelist who aspired to write a history of Japan. This helps us to make sense of his future plays on Japanese Marriage as well as his several lectures and articles on religion and politics in Japan. The guy was very interesting. We know that Morikubo covered some of B.J. Palmer’s lectures in the fall of 1906. B.J. Palmer did not record his lectures from that year. 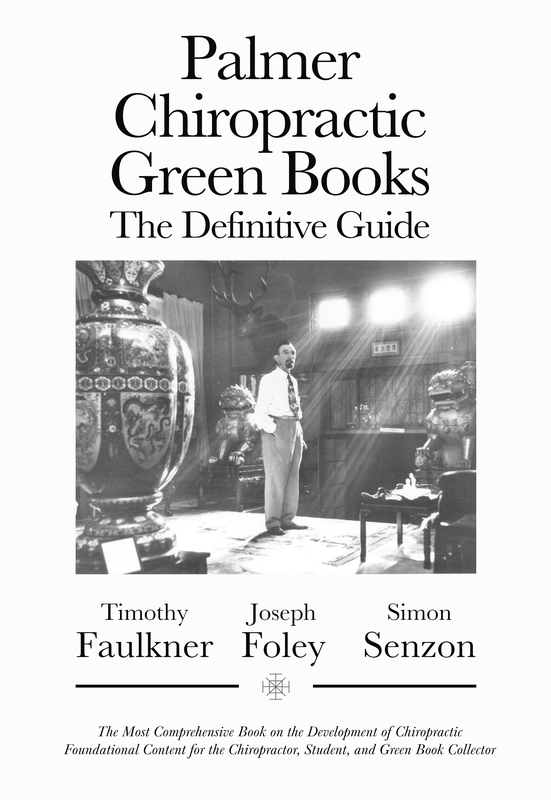 The first chiropractic green book solely authored by B.J. came out the following year and it was based on his winter 1907 lectures. Morikubo’s first article on the philosophy, science, and art came out in January 1907. (This was a full 8 months before the infamous trial.) The article included many of the early concepts that would appear in B.J.’s Vol 2. In my lecture series at The Institute Chiropractic, I delve into some of Morikubo’s writings on the philosophy of chiropractic. In this video, I capture some of his more interesting contributions. I recreated two of his drawings as animation from a 1915 article called Chiropractic Philosophy. Many questions emerge when we reflect on the history of ideas in chiropractic. Who originated each of the core theories from the chiropractic paradigm? Which authors should be included in the chiropractic canon of theory, science, and practice? What is the difference between subluxation theory and philosophy in chiropractic? There are many questions still to be answered. Historical information about the foundational paradigm of chiropractic is still being discovered. It is an exciting time for the profession. *The lectures on the early leaders in chiropractic will be posted soon as part of the Chiropractic Principles online continuing education program. **Members of The Institute Chiropractic get access to all of the lectures plus tons of content (over 50 hours) as well as discounts for the CE courses. This On Purpose Interview with Kent, Gentempo, and Senzon explores some new ideas about B.J. Palmer’s early theory. Between 1907 and 1909, B.J. Palmer developed the basics of his philosophy and subluxation theories. Several of his ideas were translated into articles and books by his students John Craven and Ralph Stephenson. Some of their interpretations were incorrect. Diving into B.J. Palmer’s original theory opens up the philosophy of chiropractic in new and interesting ways. The depth of how B.J. Palmer viewed the organism in the context of the environment shines through. The energy and information are transformed in the organism. The transformation is the process through which mind and matter are enacted. B.J. Palmer’s theory of the “forun” was developed based on his readings on Electricity from the Encyclopedia Britannica. B.J. Palmer’s most distinct theories were written down as Vol. 2, Vol. 3, and Vol. 5. John Craven collaborated with B.J. on the second edition of Vol. 5 and the third edition of Vol. 2. Some of the mistakes Craven made were so subtle that they obviously got missed by B.J. and other. Craven’s student R.W. Stephenson used Vol. 5 as one of his main sources for his Chiropractic Textbook. Stephenson made some of the same errors as Craven and thus the original theories have been passed down to us as incorrect. Please join On Purpose and get the monthly Audio Magazine from Kent and Gentempo. Please join The Institute Chiropractic today to access over 50 hours of content and special member pricing for online Continuing Ed. In 1952, B.J. Palmer bought a beach home in Sarasota, Florida. It was here that he spent many of his final days. During this time he wrote ten books, traveled to Davenport to teach, managed his school and broadcasting companies, and visited with chiropractic and circus friends. He also confronted his own mortality. In recent decades, the home was bought by Sid Williams. The Williams family restored the house and converted it into a museum. The B.J. Palmer Historic Home Foundation manages the property and raises funds to upkeep it. A recent storm damaged the dock B.J built for his boat. I visited the house and created this video in hopes of helping to restore it. I recorded a four-hour course on the life of B.J. Palmer. It is available for Online CE Credit and life long learning. Most of the course I taught was in Sarasota several years ago. Martha Nessler was in the class and also toured the house and blogged about it. The article on B.J. Palmer’s Beach Home was written by Michael Wayne, Jennifer Troyanovich, and Steve Troyanovich and published in Chiropractic History in 2013. The books that B.J. Palmer wrote while living in Sarasota are listed here: The Greenbooks. The B.J. Palmer Historic Home Foundation is in need of your donation to restore the dock and complete several other projects. Please go here to make your donation.